The ranks system in CS:GO is something similar to Elo in LoL or ranked system in Dota2, but precisely how it is conceived up to the end it isn’t known, but based on our experience we can tell you approximately how it’s works. We precisely know that each round can affect your condition in the rating table. Having got beaten in one round you hardly reduce the rank, but having got beaten in series your rank surely will decrease, therefore for a raising of your rank group you need to win 60% of games on average. If you win victories over group above your rank, then you will receive more points and if you lose to group below your rank, then you will lose much more. To begin play in ranked games you need first to play 10 calibration games. After you will award a rank with which you will begin play ranked matches. These results depend on your indicators of K/D (kills/deaths), in addition, more wins and less losses will give you higher starting rank. Having won two matches, you will be able to begin next calibration match only in 24 hours and so on till 10 victories, until you are entitled. If you for some reason lose ranks, or just can’t promote further, or want to play with your friends, but they have above a rank, then you can always order from us boost of any desirable rank irrespective of yours. Having ordered boost of a rank in CS:GO you will be able to pass some ranks on which weak players play often spoiling matches and to begin a game on higher ranks where players having wide experience and knowing conduct battles. We need access only to CS:GO account using Family Sharing mode, we won’t need your Email data. In this mode we won’t be able to use Trade, sell items or change Steam settings. I’m not a very good player. Should I still use competitive matchmaking? Absolutely. Competitive matchmaking will match you with other players of similar skill, which is more likely to result in a fun match than jumping into a random game. Where can I see my own Rank Group? Once your Rank Group has settled and you have won 10 competitive matches, your Rank Group will be displayed on the main menu. How can you predict my skill in only winning 10 games? When you play your first game, we have no idea what your skill is. As you play more games, we use those wins and losses to make predictions about what Skill Group we think you should be in. The more games you play, the more confident the system is in predicting who the other players are that you should be playing against. Winning 10 games gives us enough data to confidently place you in a Rank Group where we think you’ll be matched up with others matching your skill level. Why do I see a range of Rank Groups in the end-of-match scoreboard? Shouldn’t everyone in a match have the same Rank Group? Most matches have a small range of Rank Groups represented. If you see a larger range of Rank Groups then it is likely that those players came into the match as a party. Will my items go missing? Our booster gets access to your account through Family Sharing option. In this mode we won’t be able to use Trade, sell or delete items or change Steam settings. Very good service, will use again for sure! everything was great, super fast boost, thanks guys! 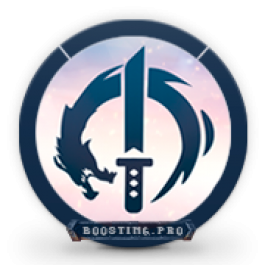 Started boost an hour after the order, real pro boosting team – unreal kill stats, you are the best! We are ready to offer you to boost your character level from the very first day of the Division 2 game’s release. We have prepared for you the most convenient functionality for ordering leveling. Apex Badges Boost farm services from our shop. 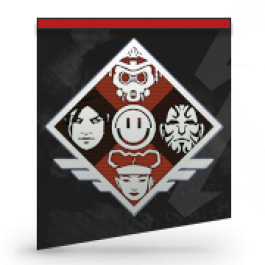 You can buy Top Badges for any class in Apex Legends game.